Prepping spinach and other greens — whether it's for lasagne or to serve straight — usually involves boiling or blanching them in a pot of boiling water. This method from America's Test Kitchen brings the water to the greens, not the greens to the water. Blanching greens, or giving them a quick cook in hot water to cook them through and soften them, and then shocking them with cold water to stop the cooking process (so they don't get mushy and keep their texture) is the best way to cook tender greens. Sitting around waiting for a pot of water to boil for a few seconds of cooking is no fun though. Instead, grab your kettle — electric or otherwise — and boil that instead. 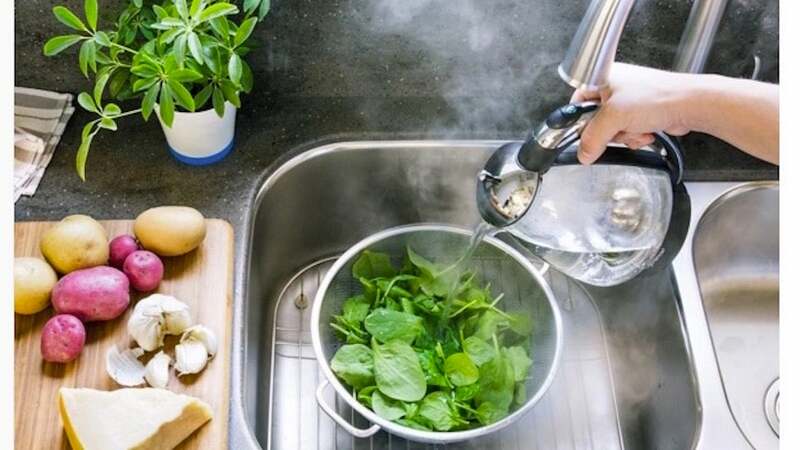 When the water's boiled, put your greens into a strainer or colander and pour the hot water over them. Then, rinse them down with cold water, as cold as you can get. That's all there is to it. You save time, save water and your greens are just as delicious.